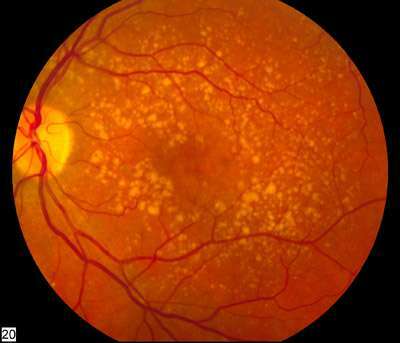 Patients with any stage of age-related macular degeneration (AMD) carry signs of the disease in their blood that may be found through special laboratory tests, according to a new study led by AMD researchers based at Massachusetts Eye and Ear. The study, published online today in Ophthalmology, describes a new technique known as "metabolomics," which can identify blood profiles associated with AMD—the leading cause of adult blindness in developed countries—and its level of severity. These potential lipid biomarkers in human blood plasma may lead to earlier diagnosis, better prognostic information and more precise treatment of patients with AMD, as well as potential new targets for AMD treatment. "The study utilized a technique known as metabolomics, or the study of the tiny particles called metabolites, in our body that reflect our genes and environment," explained first author Ines Lains, M.D., a research fellow at Mass. Eye and Ear. "The metabolome—the set of metabolites present in an individual—is thought to closely represent the true functional state of complex diseases. This is why we used it to test 90 blood samples obtained from study participants with all stages of AMD (30 with early-stage disease, 30 with intermediate-stage and 30 with late-stage) and 30 samples from patients without AMD." The metabolomics data analysis was performed in collaboration with Dr. Lasky-Su and colleagues at the Channing Division of Network Medicine of Brigham and Women's Hospital.